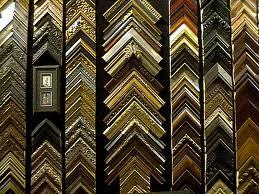 Frames are used to enhance a work of art aesthetically, as well as to protect it from dirt, dust and handling. Dynamic colors and gestures contrast nicely with an otherwise calm space. Choose what pleases you but listen to the advice of professionals. 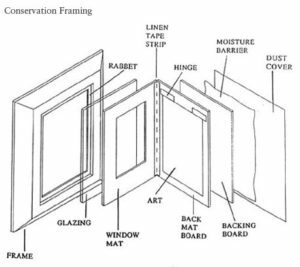 The framed artwork will become part of your everyday environment, so be sure to choose frames and mats that you will enjoy. 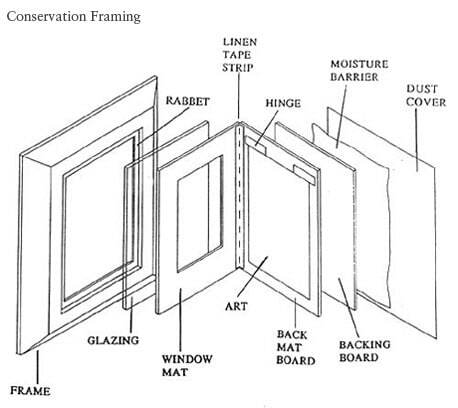 Archival: Archival framing means that all the materials involved in the process are completely acid-free. Your artwork is fr framed to last. Double Mat: When mats are layered in a picture frame, the top mat forms the main border and the bottom mat is revealed slightly just around the image. Double mats are great to bring out an accent color in the piece and to give an extra sense of depth. Float on Frame: A stretched canvas painting that is attached on top of a moulding that has a flat back, but deep enough on the sides to contain the depth of the stretched canvas. The canvas is attached so that there is a natural gap between the art and the moulding. This gap creates a shadow between the art and moulding which gives depth to the completed piece. The gap generally ranges from 1/8″ to 3/4″. Float between Glass: Displaying art between two pieces of glass or acrylic. The margin between the art and outside of the glazing is clear so that the color and texture around the art becomes the wall color and texture. Float on Mat: Displaying art on top of a mat with the art edges showing. The artwork is sometimes elevated from 1/8″ to 3/8″ to create added depth. If the art has a deckled edge, showing all of the edges of the art makes the art appear like it was just completed by the artist. UV Protection: Techniques for shielding art from exposure to ultraviolet light. Prolonged exposure to ultraviolet light from the sun or florescent lights can discolor and damage art. There are glasses, acrylics, and laminates that can be used to protect art from a high percentage of UV light. Limited Edition Prints can be matted to show the edition and artist signature. A fillet can be used to bring definition and contrast between the mat and print. The Certificate of Authenticity should be pocketed on the back of the finished piece. Posters are generally open edition prints with a white border and text. Posters can be framed in a variety of ways. One way is to remove the white border, select a double mat and appropriately colored thin, metal frame. Original Oil and acrylic canvas paintings can be further enhanced with the proper framing. Glazing is not needed for preservation. With larger pieces, you can select a wider moulding or use streamline float framing for a clean, contemporary look. Original Prints need special care for conservation. Lithographs, serigraphs, etchings, and woodblock prints require archival framing. Acid-free mats, linen tapes, and backing are recommended. Museum glass provides 99% UV protection while minimizing glare and distortion.